The applicant wasn't present, and there was no new information from the engineers, but the public hearing on the giant gas station and convenience store proposed for the intersection of routes 9, 9H, and 82, near Bell's Pond, went on for a little more than twenty minutes. Dan Udell was there to document the event. His video can be viewed here. The public hearing is expected to continue on May 1. 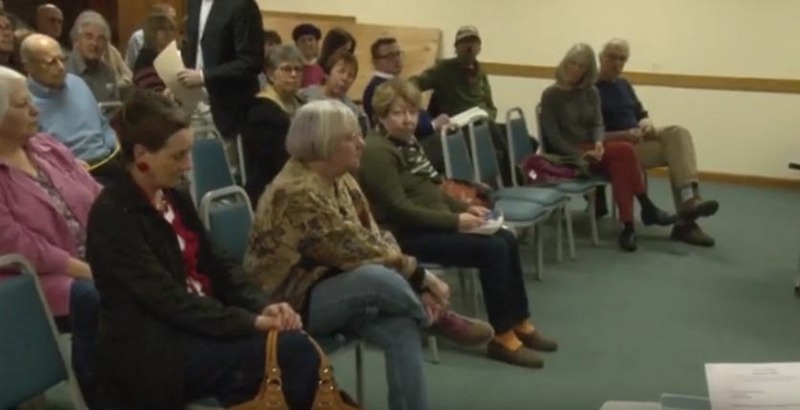 It's interesting that after the lawyer Ken Dow spoke with his well reasoned explanation of the laws and the probable ineligibility of the project, the concerned citizens who spoke, one with a detailed, well researched scenario, were women who were followed by 2 or 3 angry men, one of whom said he was tired of listening to 'crap'. It would have been better if he had just presented his case, which point about traffic was no doubt accurate.